Wildflower meadows and pastures are more than a beautiful part of the traditional British countryside. They are vitally important habitats for a wide range of flora, fauna and fungi. In Monmouthshire, as everywhere in Britain, meadows have declined over the last century, but it is possible to restore them with proper management. We are helping local field owners to re-establish and conserve their grasslands and to maintain the rich variety of plants and animals they support. How do we help our members to manage their meadows? We begin by making a preliminary survey of members’ grasslands. We provide training in species identification and grassland management to members. We work with our members to prepare and implement management plans that will meet their needs, whether they be recreational, agricultural or economic. We are fortunate in having ecologists on our committee who will prepare scientific records of sites of particular biological interest. 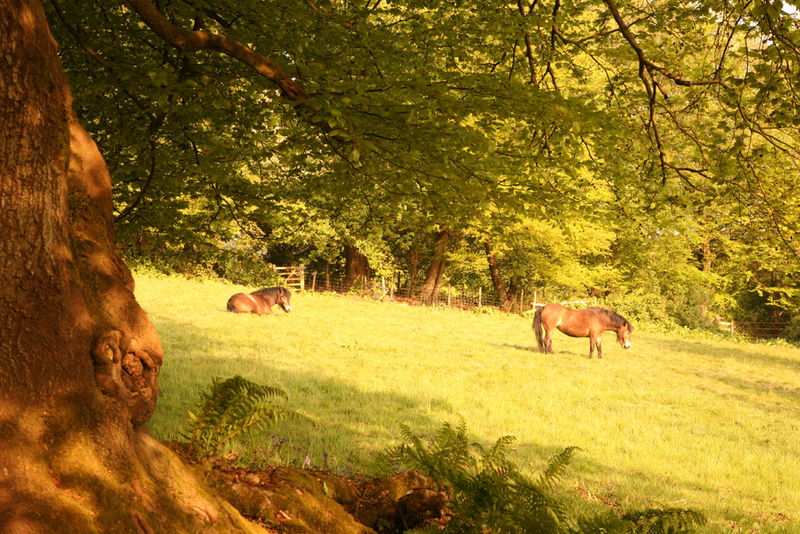 We have two Exmoor ponies which members can “borrow” to graze their fields. We can put members in touch with other graziers who will loan ponies or sheep and with local contractors for fencing, hay-making and other activities. We have twice-yearly meetings where members have the opportunity to exchange ideas, get advice, listen to illustrated talks on a variety of relevant issues, and to enjoy good food. We help members apply for grants to help manage their grasslands.